Nationally, one tow truck operator is killed on the job every six days. Most people don't know to slow down or move over when they see a tow truck assisting a motorist on the side of the road, even though it is the law in all 50 states. Teespring flags feature durable polyester material with double stitching for extra reinforcement. We also use bright, vivid inks for printing that are fade and UV resistant for long-lasting quality. 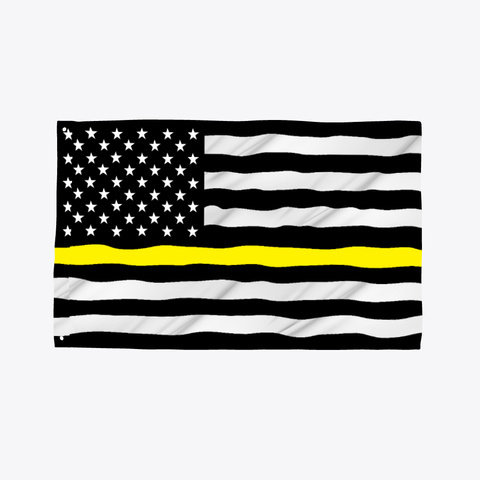 This nylon "thin yellow line" flag measures 3 X 5 feet. It has metal grommets for sturdy hanging, With that being said your neighbors will get a message loud and clear to your neighbors that our lives matter too. Help raise awareness and Save A Tow Truck Operator.